Howdy ya’ll! My name is Blitz. By the looks of me, you can tell that I was meant to play some football, which is how I got my name! 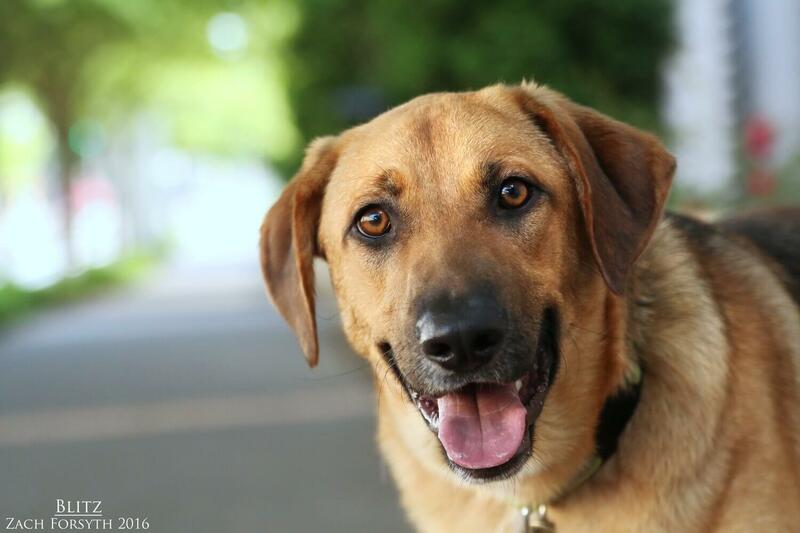 Coming in at around 50 pounds, I am a goofy 2 year old Shepherd/ lab mix that loves to tackle you with kisses! I am just a happy go lucky guy who loves everyone I meet, including dogs, cats, and kids of all ages! When I am not playing with my favorite squeaker toys, I love to flop all over, rolling on to my back and waiting for those tummy rubs! It’s like I am always practicing my plays for the big game. Put me in coach, I am ready to play! If I sound like the perfect teammate for you, then fill out an application today, so we can meet and score that touchdown! I come to you neutered, vaccinated, and micro-chipped with an adoption fee of $250.